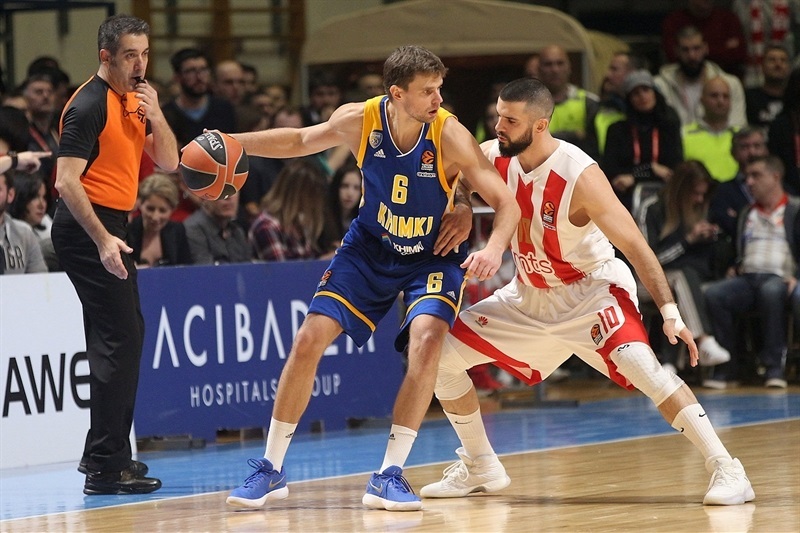 A night full of scoring swings ended with Khimki Moscow Region downing host Crvena Zvezda mts Belgrade 70-79 on Tuesday in a game that went back and forth until superstar Alexey Shved shut the door in the closing minutes. 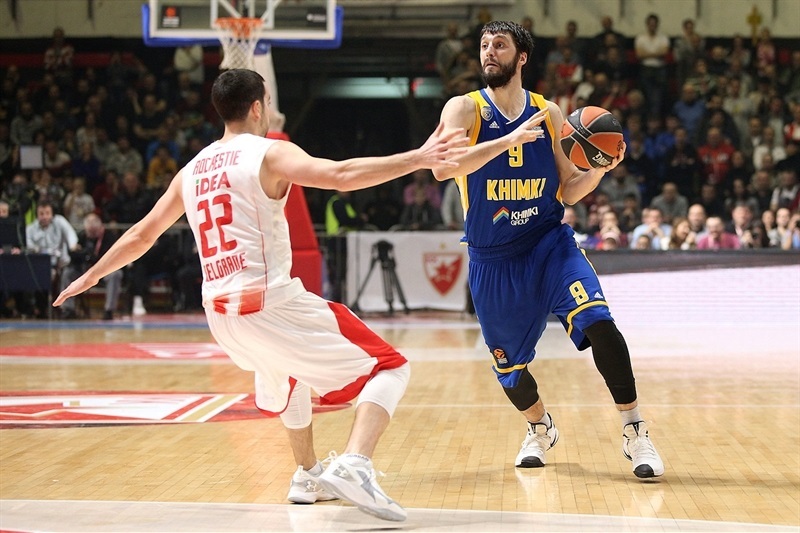 Khimki's fourth road win raised its record to 10-8 to keep hold of seventh place. Zvezda fell to 7-11. 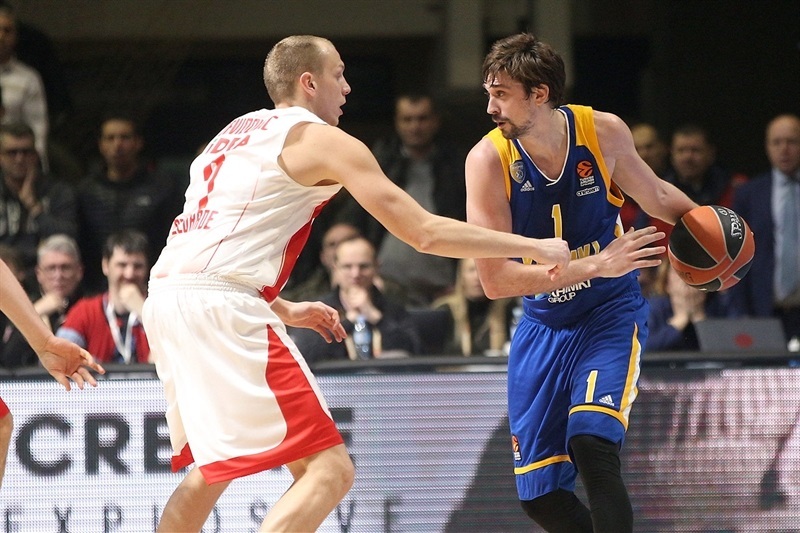 Shved finished with 29 points, including 11 as Khimki won the fourth quarter 16-27. 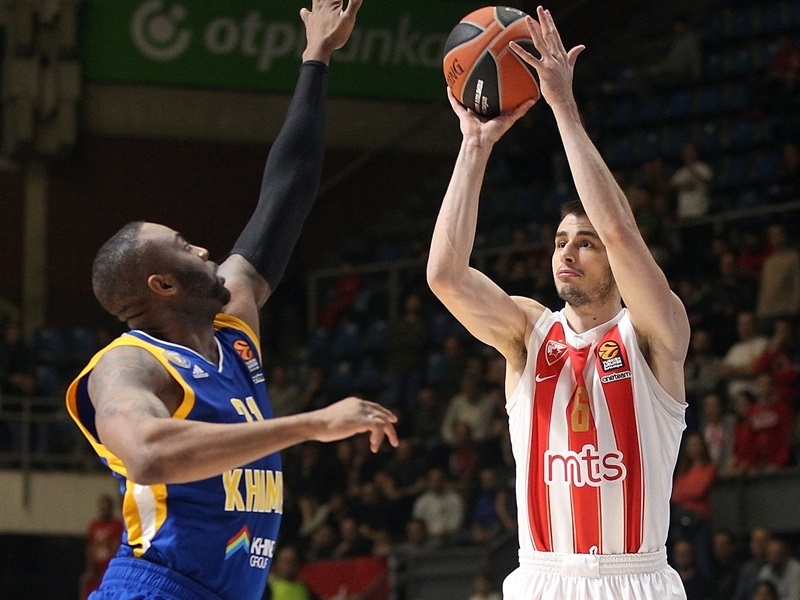 He dueled all night with Zvezda point guard Taylor Rochestie, who had 27 points, 9 rebounds and 7 assists. James Anderson added 14 points for the winners and Malcolm Thomas 11. 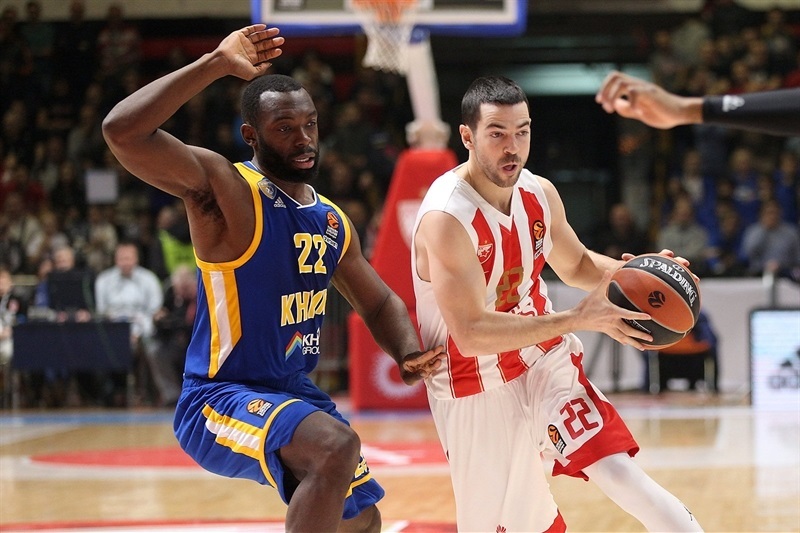 Nemanja Dangubic tallied 20 points and James Feldeine 13 for Zvezda. Dangubic made 4 of 4 threes as the hosts led 14-5, and despite Khimki tying, was still up 37-26 late in the second. A 0-13 run on either side of halftime put Khimki back in the game, although a later 9-0 run had Zvezda up 48-43. 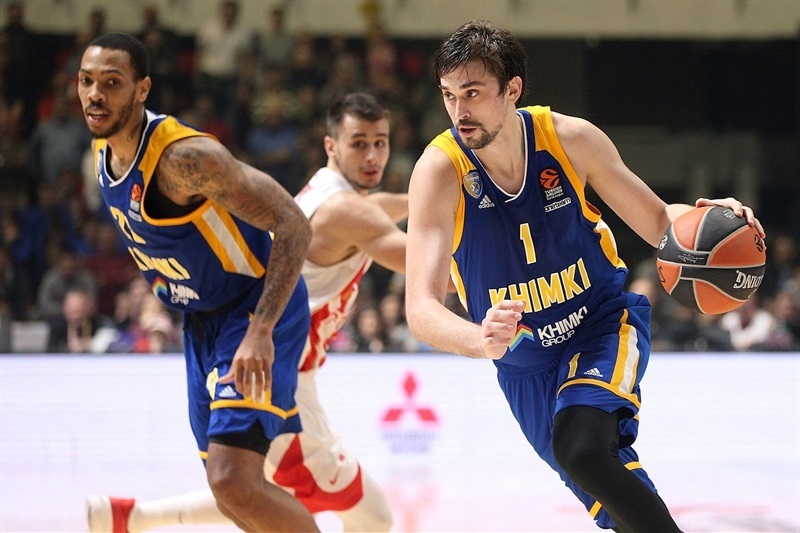 Veterans Shved and Stefan Markovic kept their cool under pressure as Khimki's shooting accuracy soared to the finish of a key victory. Shved's runner started the scoring before Dangubic and Anderson traded triples. 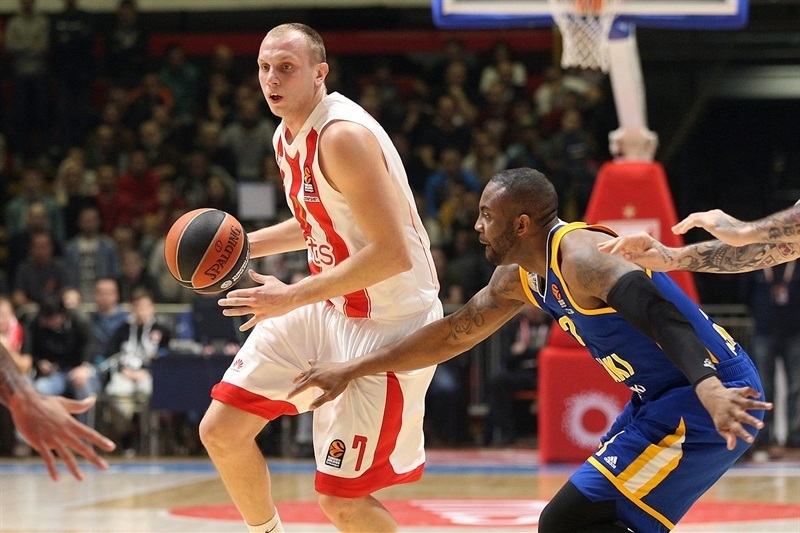 Rochestie's first shot tied it up and his assist to Dangubic for another three-pointer put Zvezda ahead 8-5. 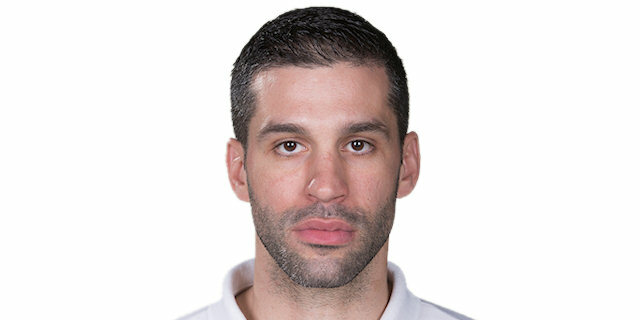 Believe it or not, Dangubic was ready with his third and fourth shots shot from deep on the next possessions, as well, giving him 12 points in just over 4 minutes as Zvezda led 14-5. 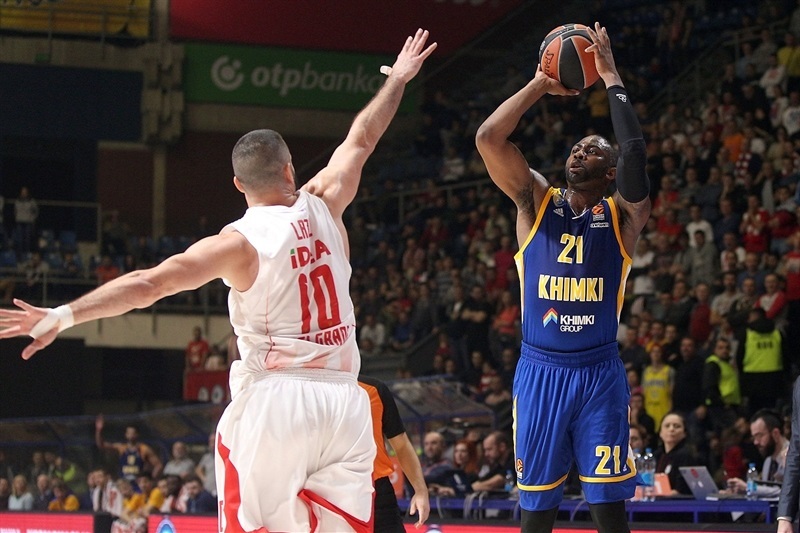 Thomas and Shved combined for 5 points to steady Khimki but Feldeine and Rochestie answered as Zvezda kept ahead 19-12. Several shots rolled out at both ends until Dylan Ennis and Markovic joined the scoring column as the first quarter ended 21-14. Shved revived Khimki with a second-chance triple and Markovic slashed to the rim to cut the difference to 21-19. Markovic then fed Anderson for a game-tying reverse layup before Dangubic returned with a two-point jumper and Matthias Lessort's free throw made it 24-21. Rochestie drilled a triple while Markovic fed Marko Todorovic for an alley-oop, but the physical defenses kept dominating. Rochestie ended the drought from deep at 31-24 and Shved got 2 points back in free throws. But Rochestie drilled again from afar before Dangubic dialed up his fifth triple for the game's biggest lead yet, 37-26. Former Zvezda favorite Charles Jenkins downed free throws and Shved found Anthony Gill in the corner for three as Khimki again trimmed the deficit to 37-31 at the half. Shved beat the shot clock from way downtown after the break and Thomas downed a jump -hook to suddenly make it 37-36. When Jenkins next hit from the corner, Khimki was in front, 37-39. Feldeine ended a five-minute scoreless spell for Zvezda, but Shved's passing led to a Thomas super-slam and Anderson's layup for Khimki's biggest lead yet, 39-43. Milko Bjelica and Rochestie hit 4 perfect free throws to tie before Feldeine had a pair of huge layups for another swing on the scoreboard, 48-43. Thomas scored in close and Markovic found Anderson for a game-tying triple before the visitors went ahead on free throws and a fastbreak dunk by Shved. Rochestie had time to tie from deep and then finish a third-chance possession with the go-ahead jumper at 54-52 after 30 minutes. Rochestie opened the fourth quarter from deep but Anderson drove for a layup. 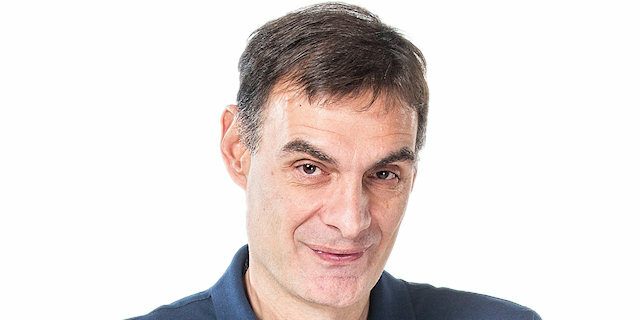 When Markovic scored a fastbreak layup and the free throw that came with it, it was tied again, 57-57. Anderson added to the lead and Thomas soon followed to make it 57-61. Feldeine rose on the arc for a super-long triple that sparked the crowd and made it 60-61. Khimki veteran Sergey Monia came up big with his own triple then, and after Rochestie hit from shorter, Shved rained from deep. 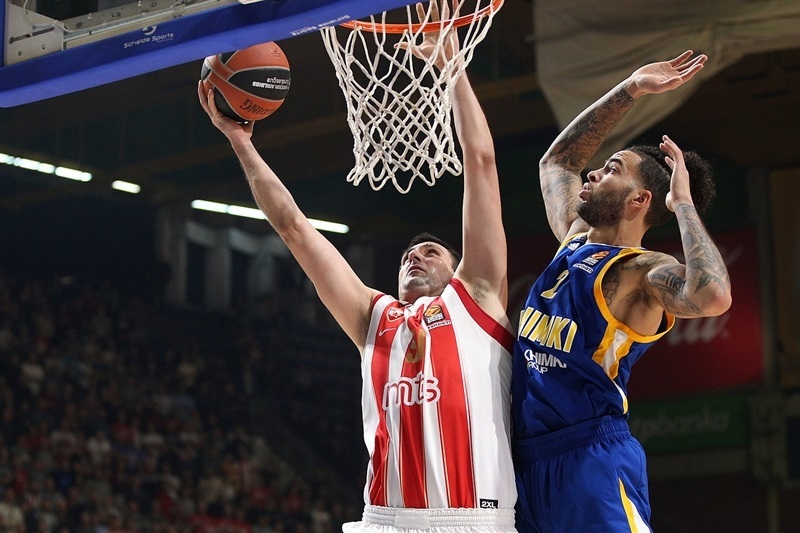 Markovic and Monia both fed Tyler Honeycutt for his first points at 62-71 with 3 minutes left. Pero Antic finally stopped the bleeding for Zvezda inside, then Feldeine did the same to make it 66-71. 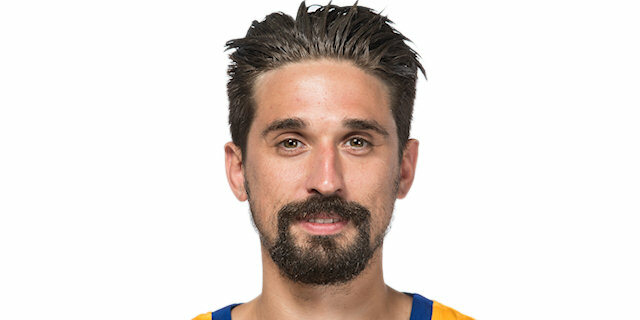 Shved hit 2 free throws on an unsportsmanlike foul and then drilled a face-up triple on the same possession to make it 66-76 and nail down a huge win for the visitors. "It's a very curious situation for us in this game. We gave up in the first half 31 points, and in the second half we gave up 48 points. We must have energy to fight a team like Khimki. And with Shved, we were without control of him in the second half." "We expected something like this. With the atmosphere here so tough, we needed to play together to manage to win the game. It's a great win on the road for us. We have 10 wins in the EuroLeague, something very important for us. We are a completely new team and playing without our first rebounder, Thomas Robinson. I have to give credit to our players. The second half we started scoring more. We had patience and that gave us more opportunities to score. It was important, too, that we had better percentages in the second half. We took confidence from this and managed to win." "Every game is a different story. No matter what you do, win or lose, you need to focus on the next game. 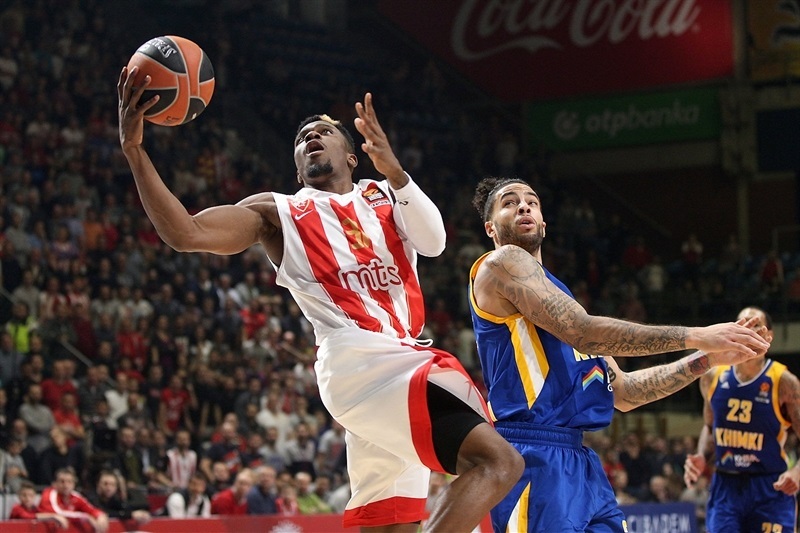 The EuroLeague is very tough to still be thinking about what happened a few days ago. For us it was very important that we managed to win this game. In the first half, we shot 25% on twos and threes, but we had contact with the score, only losing by six or seven points. And I said to our players in the locker room, 'Let's keep being patient. Let's find better shot opportunities and somehow we'll manage to win.' It happened like this. We had good ball movement, we shared the ball extremely well in the second half, and we found our shooters wide open. And, of course, Shved at the end of the game was very important. Although we couldn't stop Rochestie, and Dangubic played well, we managed to win a very important game for us. I have to congratulate our players. Every win on the road is very important." "I think the key moment was a little bit in the third quarter when we took a step up in defense. We got stops as soon as the second half started, which was great for us. We kind of fed our offense that way. In the fourth quarter Alexey his some really big shots. That’s what he does and we love him for it. I think that was probably the biggest moment when Alexey sealed the game with those two big threes he hit… It’s a great environment; it reminded me a lot of college. The fans are very energetic; they have a lot of passion for the game, which I love. It was a great place to play. I love playing in places like this because there’s so much energy." "First of all, it's an important win for us because we lost a couple in a row. We needed a game like this to come back. Of course, we are happy, especially to win here with these fans. I think that the best atmosphere in the EuroLeague is here, and it's very hard to play against Crvena Zvezda with this crowd, so we are happy. My teammates and coaches trust me. I just want to play hard every game. If you win it's great, but if you lose it doesn't matter how you play. We played the whole game the same way but at the end we played better on defense and got a couple rebounds. The whole team played wonderful."